Amazon acquires Whole Foods and opens its cashier-less store format Amazon Go to the public. Walmart shutters 10% of its Sam’s Club locations as it re-jigs its store footprint in the post Jet.com acquisition era. Over the past two years, Alibaba has invested as much as $8 billion in brick-and-mortar retailing, acquiring stakes in local supermarket chains while privatizing Chinese luxury mall Intime for $2.6 billion in January. Stores are the chosen arena for retail’s Boss Fight. In 2012, Everlane CEO Michael Preysman says he will “shut the company down before we go physical retail”. In 2017, Everlane opens its NYC flagship store in SoHo, and plans to follow that up with a larger store in SFO in 2018. Ecommerce upstarts of all stripes - Warby Parker (eyewear), Bonobos (men’s apparel), Outdoor Voices (athleisure), Allbirds (footwear) - are betting on stores to power their next phase of growth. Jordan’s Furniture, a 100+ year old furniture retailer now owned by Berkshire Hathaway, counts two IMAX theaters and the world’s largest indoor rope-course among the unexpected attractions at its seven locations. It is consistently ranked amongst the top 5 in the world in terms of revenue per square foot. Abt Electronics, an electronics and appliances retailer founded in 1936, not content with offering customers free chocolate chip cookies every week, opens a Dylan’s Candy Store boutique at its single store location. It is estimated to do $1B in annual revenue from that single location. “Selling the experience” isn’t a novel idea, and has been a successful template for retailers for over a century. Line (Japan’s leading instant messaging application, like WhatsApp or WeChat) opens a flagship “store” in Times Square in New York. Beyond what it “sells” in the store (cute merchandise that gives its app’s emojis and characters fresh life), its store design encourages visitors to create, capture and share memories on social media and messaging platforms (including on Line’s competitors). Stores are no longer the exclusive domain of traditional “retailers”, but increasingly a form of extremely valuable media and consumer engagement platform. Home Depot reports that 85% of its consumers who return online orders do so by visiting a store. Stores are no longer standalone destinations of commerce. Apple rebrands its brick and mortar locations as simply Apple, dropping the word “Stores”. Rather, they are an integral part of the overall customer experience, and but one part of a brand’s broader narrative. The prologue above is only intended to illustrate how central brick and mortar stores are to retailers’ growth plans and their continued quest for greater relevance in their customers’ lives. Much like political debate the world over, conversation about the relevance of brick and mortar stores tends to veer towards one extreme or the other. There’s the retail apocalypse with its own Wikipedia entry, or there’s analysis that says just because retailers opened more stores than they closed in 2017, the retail apocalypse is a myth. Much like the extremes in political debate, both miss the point almost entirely. 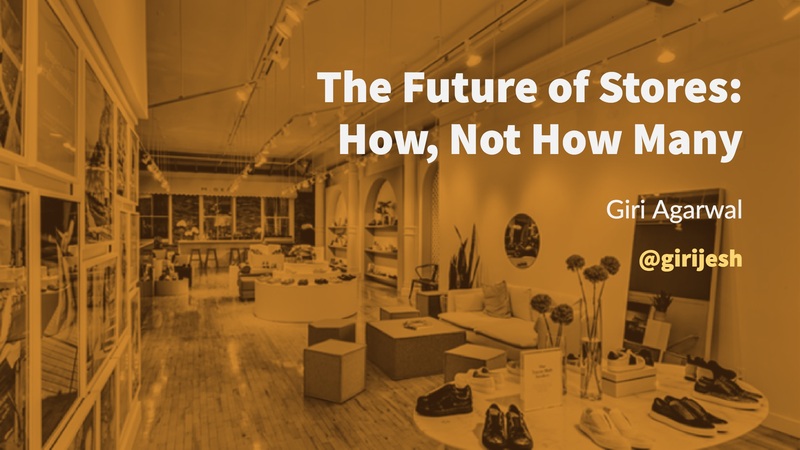 The future of stores is about how, not how many. Each year, the retail industry’s largest trade association hosts its annual convention “The Big Show” in January in NYC. At this year’s event, team Incisiv was invited by consumer and enterprise technology leader Microsoft and its IT Services partner Avanade to curate a retail store tour experience for its visiting clients and prospects. The goal of the store tour was to illustrate the evolution of the role of the store (and along with it that of store employees) to foster a conversation about the applicability of the business models and enabling technologies to their own environments. 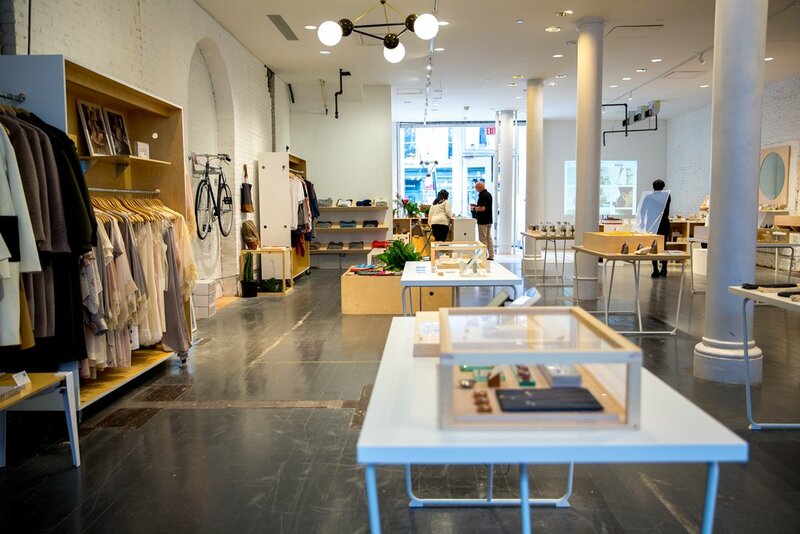 NYC’s retail scene is like few others - a heady mix of global brands, technology upstarts and local artisans. There are some amazing individual experiences in NYC worth visiting - from seeing the near-future unfold at Samsung’s flagship in the Meatpacking District to washing your dirty laundry at American Eagle’s AE Studio in Union Square; from the rather ominous spectre of The Shops at Columbus Circle sandwiched between Amazon Books at the top and Whole Foods in the basement, to listening to the sounds of their factory while trying-on a pair of denims at Everlane. We chose to design our store tour around a 1-block perimeter - both as an illustration of the retail innovation accessible to the consumer within a city block, as well as a practical consideration for our walking tour given sub-zero temperatures. We believe there is no greater ensemble experience in NYC that you could walk without breaking a sweat (or without freezing). What is it: Fastest growing online luxury consignment (a fancy word for used-goods or second-hand goods) site. The store is their first boutique. The story: Storied Pets.com former CEO Julie Wainwright founded The RealReal in 2011. Started operations from her kitchen table, and made consignment visits to customers in a U-Haul rental. 7 years in, her team has grown to 950, annual revenue is estimated to be USD 500M, and her venture-funded treasure chest is USD 173M strong. Business model: For consignors, The RealReal offers free in-home pick-up, authentication and shipping. Consignors can earn up to 70% of the items they sell. Store design & layout: The RealReal’s NYC store is a large, bright, welcoming space with its own tiny cafe and flower shop - in line with the growing trend of designing the store around the customer rather than around the product. Merchandise is still front and center, but arranged by category (bags, watches, apparel) to allow the relevant experts to be at hand to assist consignors or shoppers. Store staff: Most of The RealReal’s store staff are authentication experts, horologists or gemologists. Their passion for each individual items shines through as they are involved throughout the full consignment process. The RealReal recently announced first-of-its-kind collaboration with the University of Arizona to create a new degree program in gemology. Technology notes: As there is only one of each item, the integration between their point of sale and order management system is intricate. Though their store staff is equipped with tablets for mobile point of sale and task management, the experience is driven by the associates themselves. Other key observations for legacy retailers: For The RealReal, each item is a unique stock-keeping unit (SKU). Yet, they manage to achieve shelf-level inventory visibility and accuracy. Each item in their stores is available for purchase both in-store and online. What is it: A space-as-a-service retail pop-up concept that provides local artists and designers a ready platform both in-store and online. The story: Founded by Eric Ho and Rosa Ng, Good Goods is part collective, part pop-up co-retail model. They design and curate b2b and b2c experiences, and generate thought leadership around prototyping interactions in support of future retail experiences. Business model: Emerging and established brands that wish to utilize spaces serviced by Good Goods pay a monthly fee, and in some cases, share a small percentage of sales. Store design & layout: As a retail pop-up Good Goods retains a lot of flexibility by utilizing temporary fixtures in a large open space. It curates its assortment with a focus on local designers and artists, and frequently re-imagines its store layout to build an experiential narrative that is tied more closer together to the current assortment. Technology notes: As part of its space-as-a-service offering to its members, Good Goods offers store traffic insights based on an array of cameras and sensors that track shoppers as they visit the store. They also encourage shoppers to interact with QR-codes (yes, the comeback is official) that lead to a product-detail page that gives the designer the opportunity to tell their story, including highlighting their sustainability efforts. What is it: Cosmetics products subscription service. 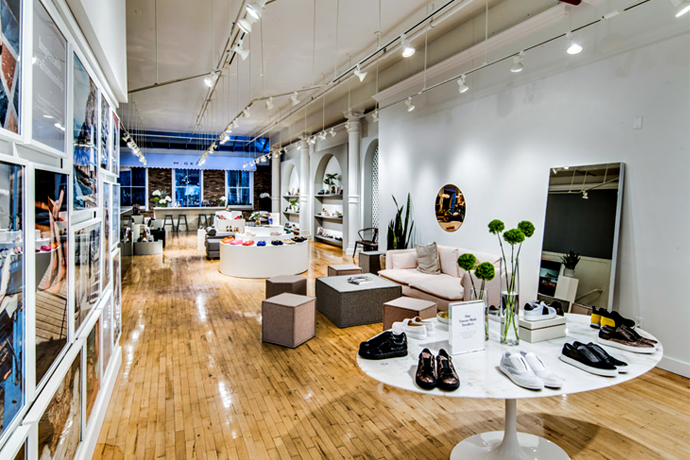 The SoHo store is their first brick and mortar location, now expanding to Paris. The story: Founded in 2010 by Harvard grads Katia Beauchamp and Hayley Barna, Birchbox is the original subscription box service that has inspired hundreds of variants. It has already been through a rich journey of ups and downs. After being an early darling of venture capitalists and industry experts, it ran into headwinds for a few years before turning profitable in 2017.
Business model: Drive product trial and a sticky subscription base. Drive a meaningful percentage of subscribers to purchase full-priced products. Store design & layout: The build-your-own-box (BYOB) section of the store acts as a physical representation of the online subscription. At the central “Try Bar” Birchbox “editors” fill tester areas with new trends for shoppers to try, or highlight different products and techniques. At the lower level, a salon-in-store allows Birchbox to offer personalized services and build a sense of community around their products. The store is frequently used for private events (such as bachelorette parties), and offers a variety of appointment-based one-on-one services. Technology notes: The store features iPads featuring recommended products and a large interactive screen called the Product Matchmaker, but technology is folded into the store experience. They are used to point shoppers to popular items in a given category, or offer helpful information such as reviews related to featured products. 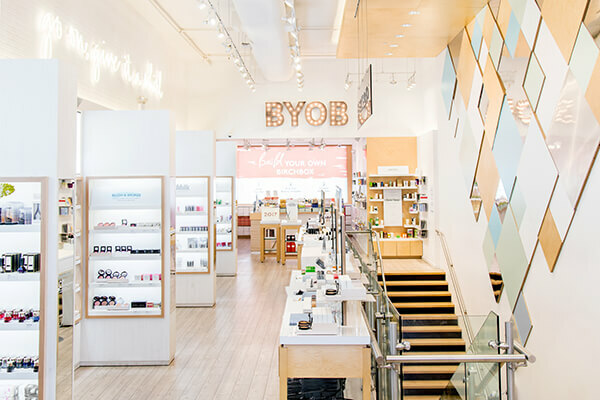 Birchbox believes in supporting other start-ups, and chose Erply as its point-of-sale solution. Other key observations for legacy retailers: Store staff actively provides feedback on assortments, helping align merchandising decisions to local needs. Unlike at Sephora or a department store (where the likes of Clinique or Mac mandate a branded display) products are organized by type, not company. Shoppers can can find product for “oily skin” or “second-day hair cream”, mirroring the digital experience in-store. What is it: Direct-to-consumer custom Italian footwear. The store is their first fit-shop. The story: Founders Maria Gangemi and Cheryl Kaplan teamed up with digital flash-sale site Rue La La Founder Ben Fischman to launch Boston-based M.Gemi in 2015. M.Gemi is following the Warby Parker playbook, just applying it to luxury footwear. It works with local Italian craftsmen, cuts out the middleman and offers customers luxury at an a (relatively) affordable price point. All its shoes are “limited edition” in that styles launch every week (for women) and seasonally (for men), and last only as long as that batch runs. They are sharply focused on fit, and make it easy for shoppers to receive and return through free shipping both ways. Business model: Direct-to-consumer ecommerce with a focus on curation to drive repeat purchases and fit to reduce returns (a scourge of the footwear category). Store design & layout: Since M.Gemi carries no inventory in the store (it is a fit-shop. You can buy at the store, but they ship as they would if you ordered online), it is a refreshingly clean, open space for a shoe-store. 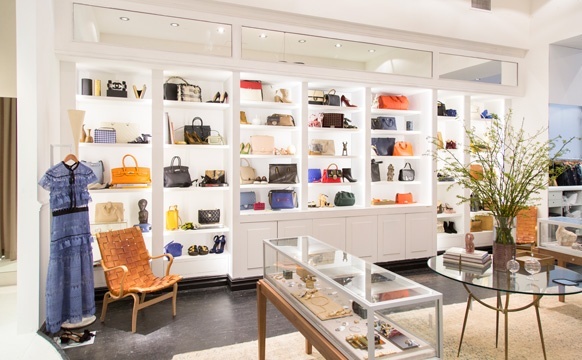 It puts its real-estate to maximum customer-facing use, and is able to display its Italian-leather roots with creative installations around the store. There is no dedicated point of sale terminal or checkout lanes. The lone store manager who oversees the entire operations of the store can help you choose a style, assist with fit, answer any questions and help order via the tablet POS. All while lounging near the store’s cafe-bar that serves up Italian classics - espresso and Campari among them. Technology notes: Technology innovation is deeply integrated into their focus on fit. A simple tool on their website assists find the right fit for online shoppers. AI and algorithms constantly learn and improve a customer’s profile based on purchases and returns. And, once a fit is established, it becomes a part of the shopper’s profile with subsequent recommendations forthcoming based on their “forma”. As legacy retailers correct the profligate expansion from the 80s through the early noughts, there will no doubt be continued reconfiguration of retail real-estate. Some, such as Apple, got it first-time-right and still have lessons to offer their peers. Others, such as Starbucks and Sephora are great examples of at-scale transformation. These are exciting times in retail. The richness of retail experiences has never been greater. 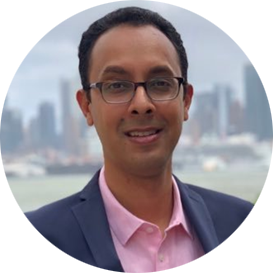 And, the possibilities for brick and mortar stores to be an integral part of a retailer or brand’s customer experience are limited only by their imagination, innovation and execution.